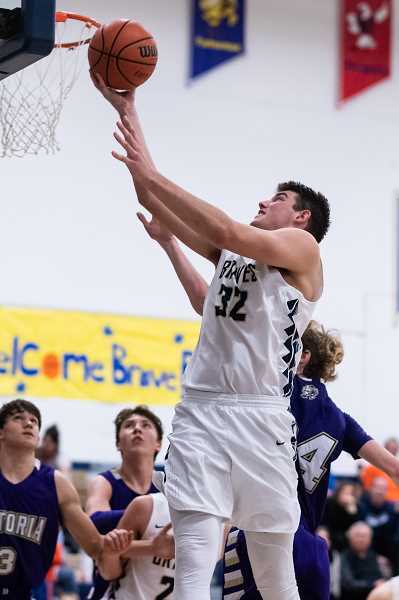 The 2019 all-state boys and girls basketball teams were announced Monday, April 8, and a handful of Hillsboro and Forest Grove area kids made the grade. Three members of the Banks Braves state champion boys team were honored, with Braves' senior post Blake Gobel garnering a first team selection, while fellow senior Dakota Bunn and junior Jacob Slifka earned honorable mention. Banks finished the season as Co-Cowapa League champions, sharing the title with Seaside before eventually defeating the rival Seagulls in the state championship game 62-56. "I am very excited to see Blake, Jacob and Dakota on the all-state team," Banks head coach Marc Roche said. "All three of these guys worked incredibly hard in the offseason and played such a vital role to our success this year." Gobel, who's committed to play football at Eastern Washington University this coming fall, didn't take the honor lightly. The senior was a second team selection last year, and saw this year's step-up as the culmination of a lot of hard work. "I'm very honored," he said. "This is something I've worked for my whole high school career, and I'm glad to be associated with these special group of guys." Not to be forgotten, Roche was voted as the state's Coach of the Year, adding to his Cowapa League Co-Coach of the Year honor handed out in March. The coach was quick to point out the height of the honor, and even quicker to recognize the team's role in him receiving such esteemed recognition. "It's quite the honor to be acknowledged for something like this," Roche said. "It was an incredible experience to have such a great buy-in from this group this year. Basketball is one of the ultimate team sports and it was fun to see this group put it all together this year." Banks' Aspen Slifka, on the girl's side, also earned first team all-state honors, adding to her first team selection from last year, in addition to being named the 2018 State Player of the Year. The Braves girls too split a Cowapa League title before losing in the state quarterfinals and placing sixth at this year's state tournament. 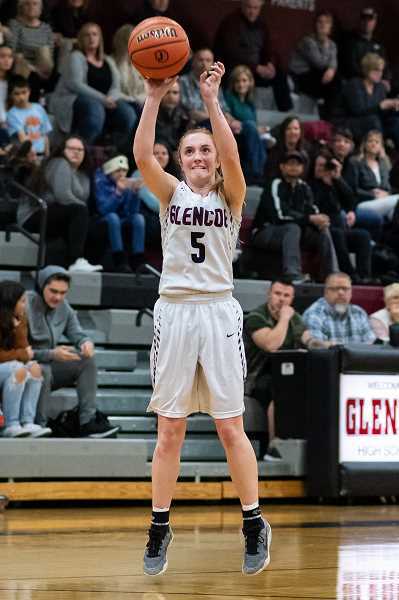 At the 6A level, Glencoe's Morgan DeBord — who was named the Pacific Conference's Player of the Year this past month — was named to the all-state second team. The 5-foot-3 point guard who'll be playing softball at Loyola Marymount University next school year, led the Tide to a third place Pacific Conference finish and a state playoff bid. "I am just so proud of her," Glencoe head coach Kassi Conditt said. "As a team we had to earn every win we got this year and she was our workhorse. She truly deserves this and I'm just glad that other coaches in the state saw the same talent in her that I've been fortunate to have had a front row seat for." DeBord, who was humbled by the league recognition, was grateful for the state honor and equally grateful for her coaches and teammates that helped it be possible. "It's an honor to be included with such an amazing group of basketball players," she said. "I appreciate the recognition for the season that we had and I am again thankful for my teammates and my coaches. They were the ones who helped push me and support me every day and during every game this year. I love playing basketball and am happy to be honored to do something that is that much fun." Forest Grove's Guy Littlefield was also honored at the 6A level, earning honorable mention. The junior point guard — who was a first team All-Pacific Conference honoree — parlayed an offseason of hard work into 16.3 points, 5.4 rebounds, and 3.8 assists per game, while shooting 46 percent from the field. 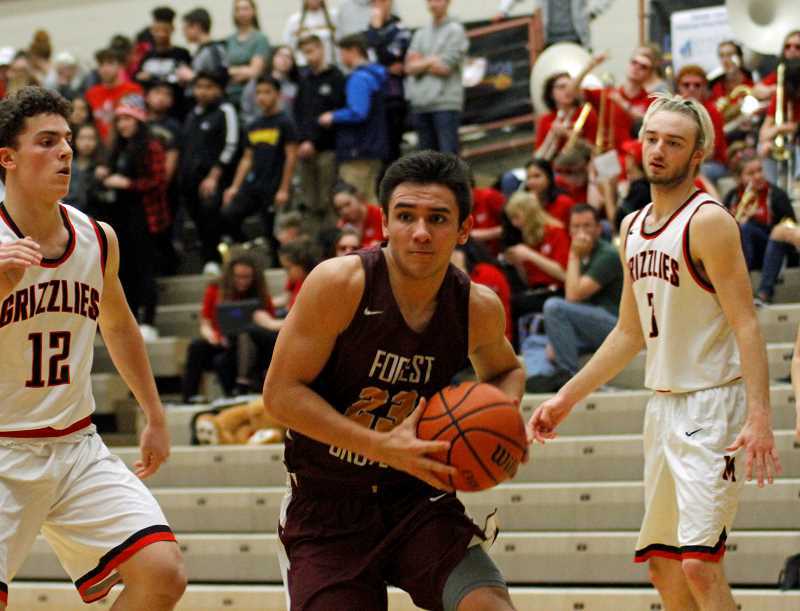 Forest Grove head coach Greg Evers lauded his guard for his hard work and play before and throughout the season, and was quick to point out that his work at Forest Grove was yet to be done. "I was hoping he'd get recognized by the coaches around the state for his terrific year," Evers said. "It's not easy making those teams and it's a testament to his hard work. He had a terrific, hardworking offseason and it's nice to see an individual who worked so hard get rewarded. I'm very proud of him…but he isn't done." The State Player of the Year awards will be announced at a later date.